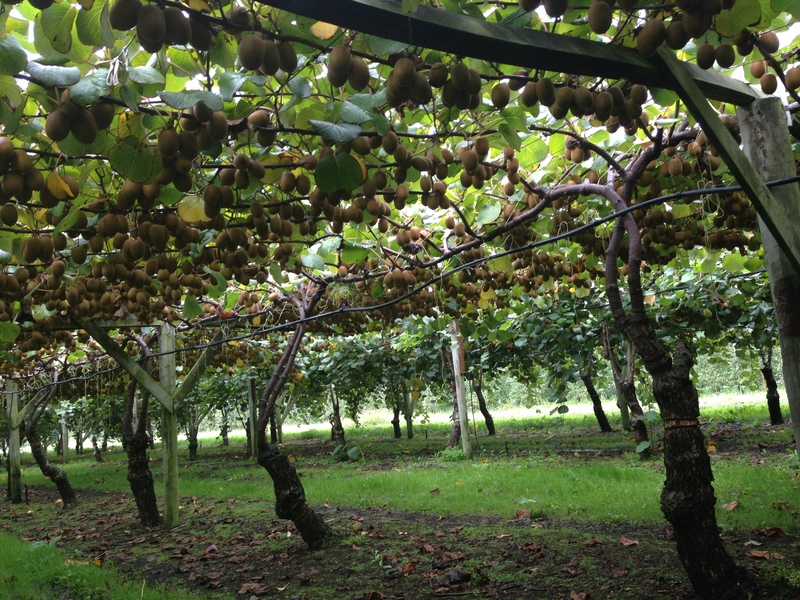 Yes that’s right I’m out of the country and on the road travelling New Zealand, the weather has been damp but the rain and the drizzle of Napier didn’t stop me going on Irrigation tour of some local farms yesterday. We boarded the bus by Napier’s board walk and headed out to the Heretaunga Plain just outside Napier, on the way out to the first farm our guide explained a bit about the region’s history and the area’s geology. The Heretaunga Plain has a wide range of soil types from old deep coarse gravel to some new (Couple of hundred year old) highly friable soil. 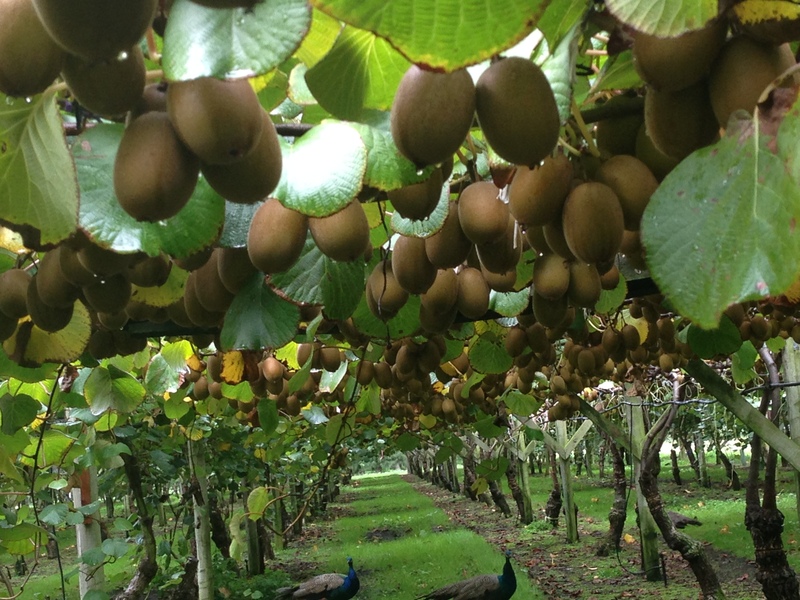 Our first farm had an Apple orchid and Kiwi Fruit plantation and was run by Mark Ericsson whose family had been farming their block of land for the four generations. 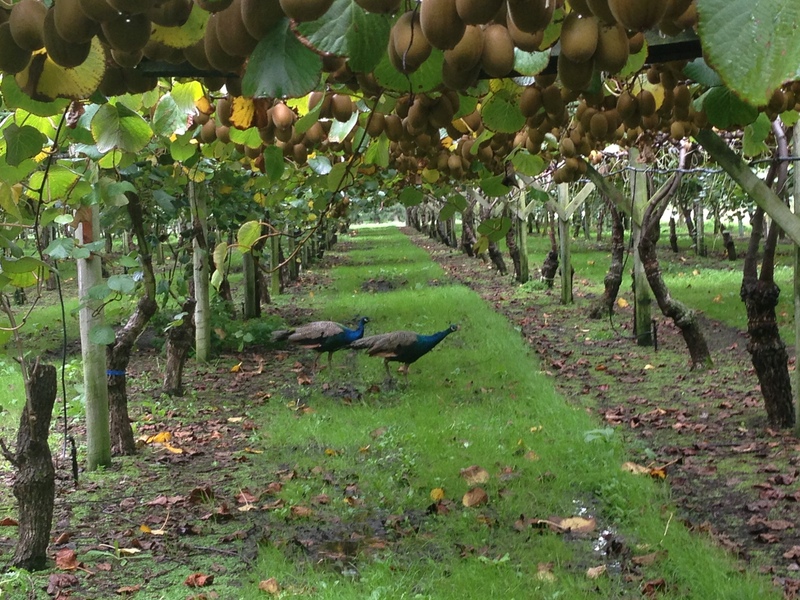 When we got off the bus we were straight into the kiwi fruit, which were just about ready for harvest. The vines were set up in a way to increase growth and yield, with this year’s crop being on the lower lateral vines and the following years vines growing up to a stake above the main vine. So when this year’s crop is harvested the vines that the fruit grew on are removed, the new vines are brought down from above to where the old ones were and then the new shoots start to grow up to the steak. 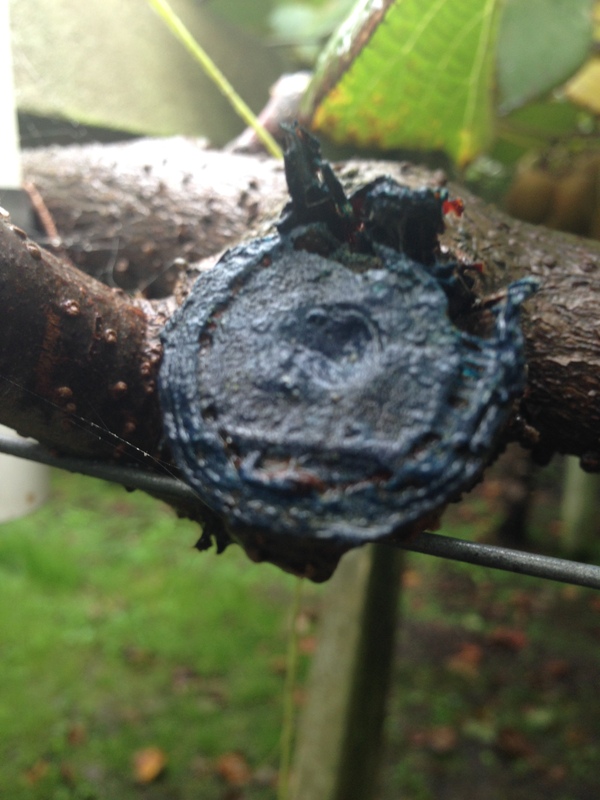 This method allowed for only a slight loss in production when he recently changed varieties, he simply grafted the new variety onto the vine and grew it up over the old variety, then when he harvested the current crop he brought them down and continued on as normal. 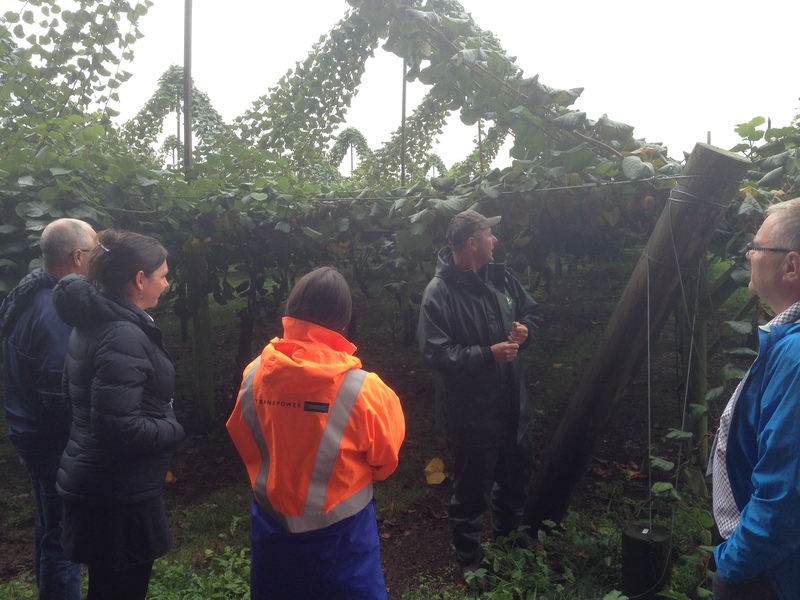 The vines holding the current crop grow laterally while next seasons vines grow up towards the steak. 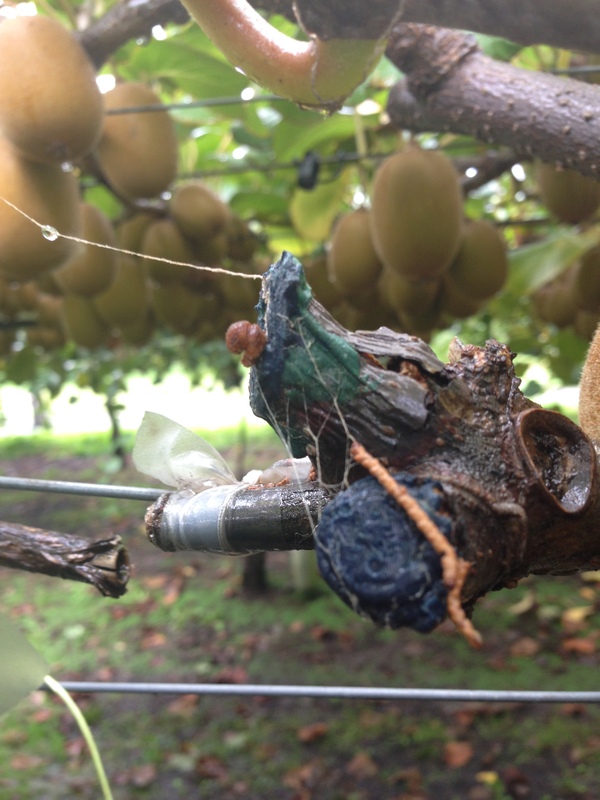 The Kiwi fruit were irrigated from sprinkler system that ran along the base of the vines using bore water, however if a frost was to occur the sprinklers could be moved to the top of the vines and turned on to stop the frost setting in and affecting the plants. (Emphasis on frost mitigation would quickly become a common theme on the tour.) 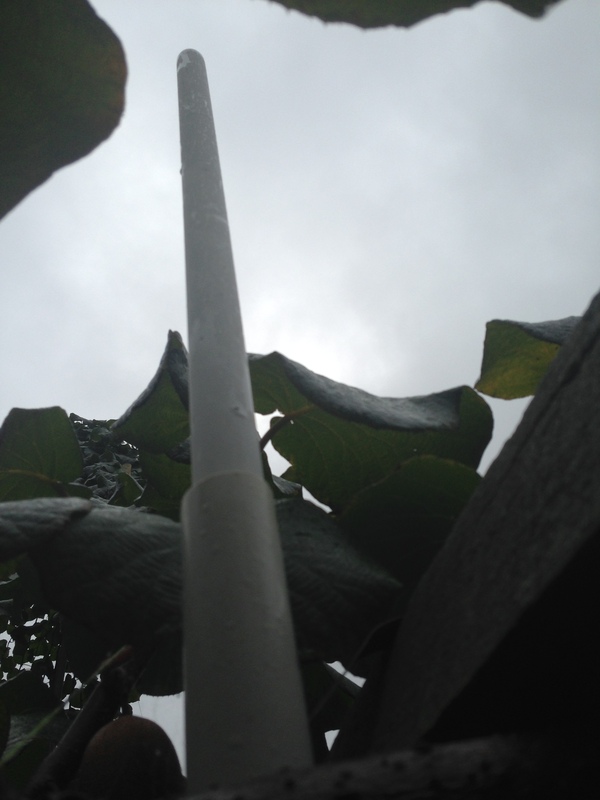 Using “Hydro Services” he is able to measure the vines water usage and the soils moisture profile, helping to reduce the amount of water used in irrigation. Another technique he uses to prevent water losses is that after he has planted a new set of vines he will use a watering schedule that encourages deep root growth so the vines can access water from deep down in the soil profile. 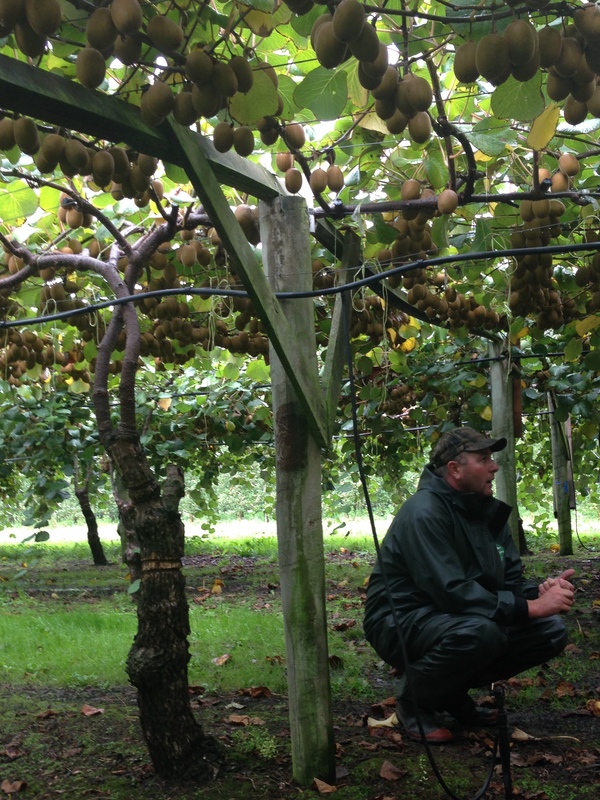 Mark tries to run the property as close to organic as he can in order to minimise inputs and therefore reduce costs but would never go fully certified organic as it would limit his market access to the European market. In order to achieve this all the cut down vines are mulched and then brushed up against the vines to act as mulch that retains water. 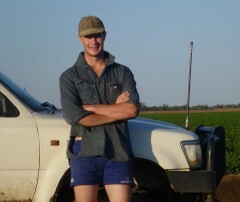 He is also very mind full of compaction in his fields as it can hinder the soil’s ability to take up and hold water. 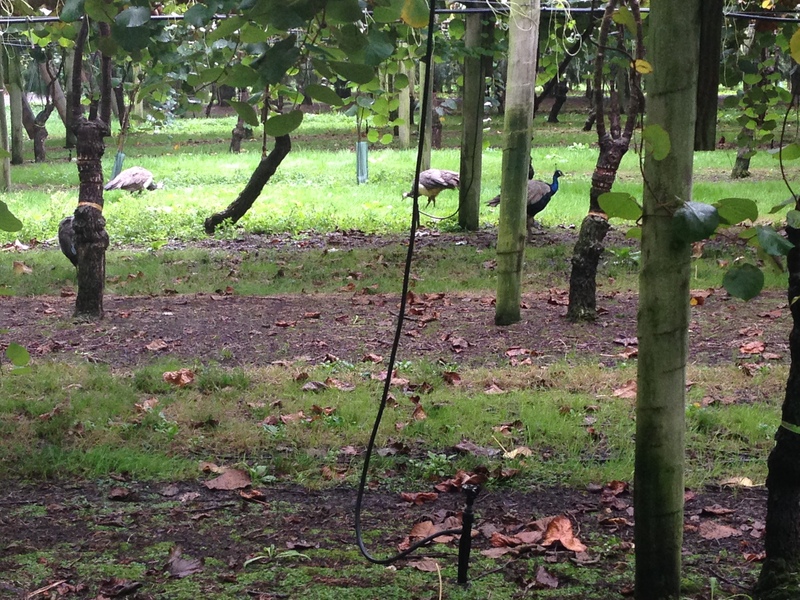 There are also peacocks that roam the vines mainly for aesthetic purposes but they are also used to help keep the grubs at bay. 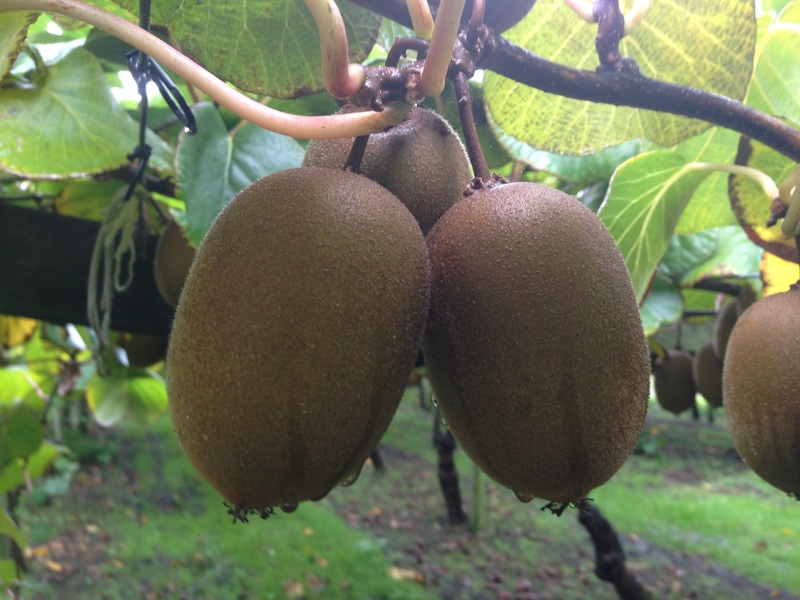 As I mentioned earlier Mark said he would never go organic as it would limit his market access to Europe, however his main market for his Kiwi fruit are Japan and South Korea as they prefer yellower colour and high dry matter content of this variety. 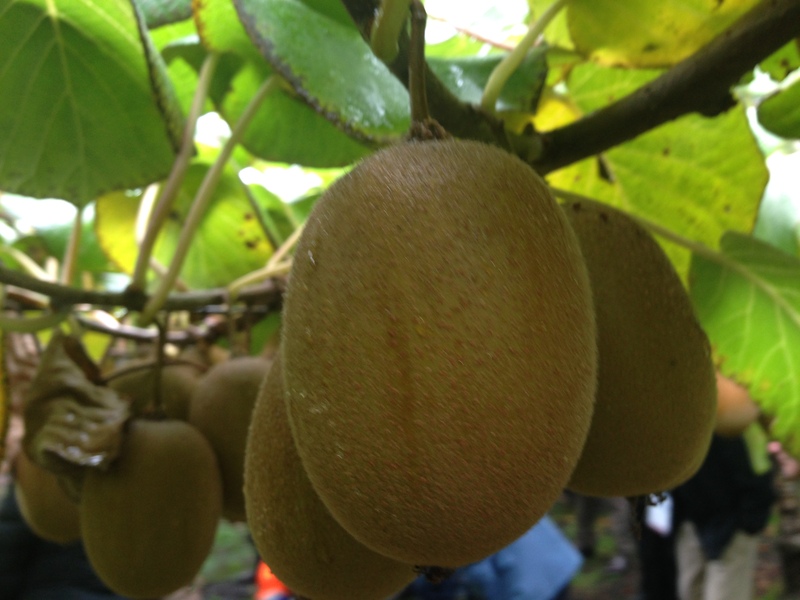 While the Kiwi Fruit and apple orchid was interesting and we were soon back on the bus and onto the next farm, so watch this space over the coming days as I write more about the tour.